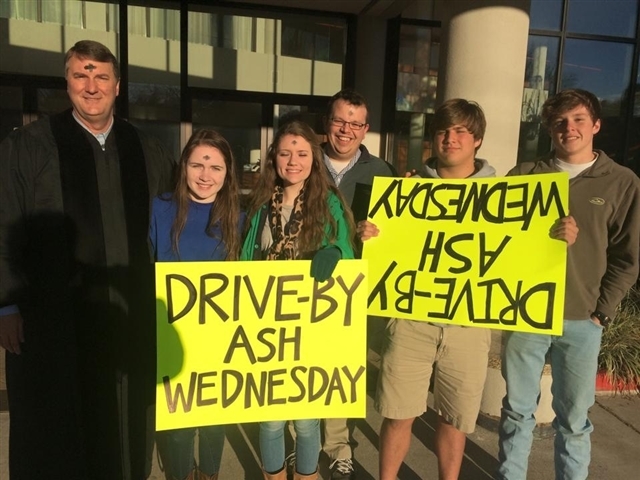 United Methodist churches throughout the Louisiana Annual Conference drew a lot of attention for bringing a “mobile” component to the imposition of ashes with “on the street” and “drive-through” opportunities this past Ash Wednesday. 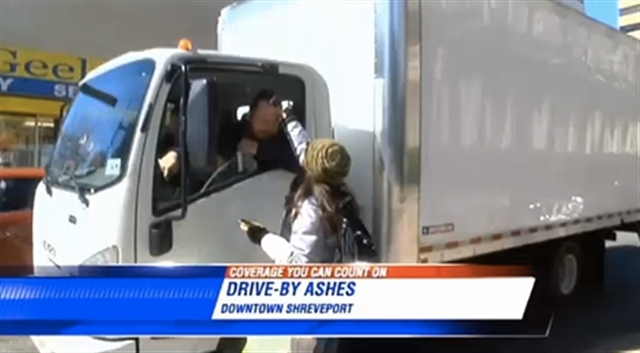 First United Methodist Church in Shreveport was covered on KSLA-TV’s evening newscast for their distribution of ashes to passersby in Downtown Shreveport (http://www.ksla.com/Clip/11151038/shreveport-churches-offer-drive-by-blessings-for-ash-wednesday#.VOV1o7BD8dY.email). 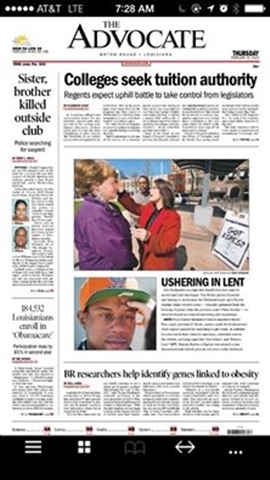 Also in Shreveport, Broadmoor UMC and Christ UMC offered drive-thru ashes for those finding it hard to make time for services (http://www.shreveporttimes.com/story/news/local/2015/02/05/christ-united-methodist-church-offering-ashes-go/22925989/). First UMC, Baton Rouge distributed ashes to passersby in Downtown Baton Rouge during their 'Got Ashes' initiative (http://www.wafb.com/clip/11151261/got-ashes-get-your-ashes-on-the-go#.VOVxBA__EQ0.gmail). And at Munholland United Methodist Church in Metairie, more than 500 people drove through the church parking lot to receive ashes and comfort from church representatives. There were many prayer needs. Three people were on their way to the hospital for surgery. A number had a family member battling cancer. Some had just lost their job or were in severe financial crisis. Several were headed to receive medical tests. One woman said that she has difficulty getting out of her car and walking into a church, and was grateful to receive ashes in her vehicle. Another stated that she had sinned and done so many bad things that she couldn’t go into a church—that this was a first step for her to get back into church. Several said that they were in marriages which were struggling. “What was amazing was how in a parking lot, leaning over into someone’s car window, they would open up and share the pain and struggles of their life,” said Smith. At “At our Ash Wednesday service that evening, we saw many new faces who joined us. All reported they saw us on the news and came as a result,” said Rev. Smith.